Bob George, bestselling author of Classic Christianity, shows readers how grace changes everything because of one often-ignored foundation of the faith–the New Covenant. Many Christians feel anything but new. They are told salvation is a free gift, but trying to live up to what they think God demands seems like anything but a gift. Feel free? They don’t. Bob explains how this results from basing Christianity in the Old Testament–making the faith a law-based religion. These are now available at an even better price. 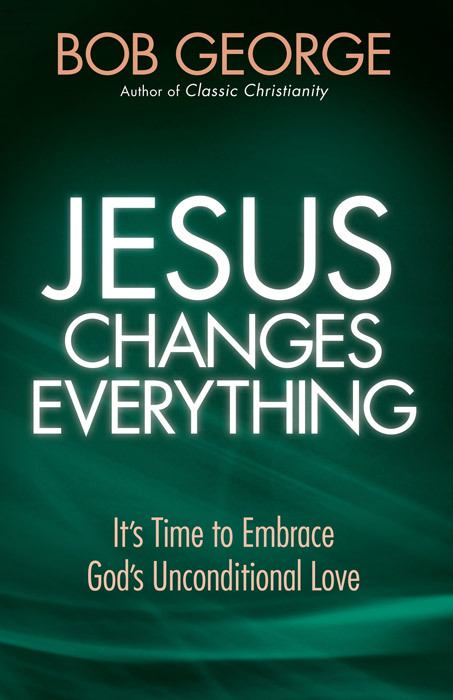 You will receive a 10% discount on orders of 10 or more Jesus Changes Everything books. Been a follower of Bob George for over 17 years. All his his material is a must-have. Bob George is a gift from God to anyone who wants to truly understand the Bible. He carefully and clearly explains the Old and New Covenants God has made with mankind and what it truly means to be saved. This books explains who Jesus is and what He did on Calvary for the world. This is the answer for how to have true life in Jesus Christ once and for all. You can have real peace and joy in your life.